John Ritter hosted this special which resembles Bloopers and Practical Jokes. Seems to be titled Life's Funniest Moments... or something like that. You can barely make out the name of the show over Ritter's left shoulder. Here he introduces outtakes from the game show Who Do You Trust? 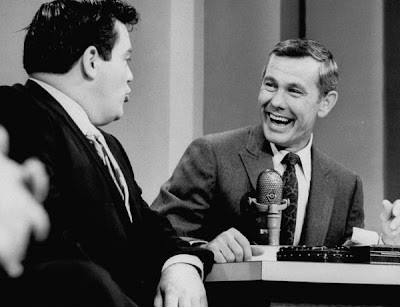 hosted by Johnny Carson. When Carson moved to The Tonight Show, Adults Only comedy record star Woody Woodbury replaced him. I'm posting all kinds of cool footage from the old Tonight Show in one full swoop today, because if one waits too long, the Carson lawyers will have this stuff taken down. So enjoy it while it lasts. First up it's the biggest movie star in the world, a man who loves to chew gum, run moonshine and pose naked on bear skin rugs: Burt Reynolds. Burt Appears with Johnny on September 26th, 1974 to promote the Robert Aldrich picture The Longest Yard. Leather pants, whipped cream, Dom Deluise on panel ... this is a whole lotta fun. From the same episode, Dom Deluise engages Johnny in some tom foolery with plenty of egg yolk. In reality, this part of the show occurs prior to Reynolds coming out ... but y'know ... I wanted to start with Reynolds. Is that okay with you? Johnny's opening monologue from October 14th, 1982. The policeman gag has to do with his recent tabloid-style arrest for drinking and driving - this was his first appearance on television after the incident. Jazz musician and stand-up comedian or stand-up comedian and jazz musician, Pete Barbutti appeared as a regular guest on The Tonight Show with Johnny Carson. Barbutti is still around, performing and living in Las Vegas. He also had a weird Canadian cooking show for a while in the early eighties called Celebrity Microwaves (!). Despite that sad side project, he always had a real sharp, smarmy persona, one that constantly made fun of silly showbiz cliches (However, his website greets you with loud scary music more suited for a nineteen eighties corporate training video than for a jazz musican). This appearance is from March 12th, 1992 - it's what the specialthing.com kids of today would refer to as "alternative comedy" although there wasn't such a term in Barbutti's day. And from an earlier Barbutti - Carson appearance (looks like the late seventies) it's Barbutti giving us some jazz with the comedy. Here's a very weird Tonight Show oddity. Unfortunately, it's not the best of quality -looks like somebody filmed it off their TV with a camcorder, but the novelty makes it. The Tonight Show with Johnny Carson in 1966 featuring the pre-teen garage rock band(!!!) Gary and the Hornets. As Johnny mentions in their intro, they recorded for the SMASH Records label. SMASH was also home to The Walker Brothers (featuring current college radio hero Scott Walker), Jay and The Techniques, James Brown and C&W novelty sensation Roger "King of the Road" Miller. Gary and the Hornets are less famous than all of those acts. They're a fine example of how something can not be that good and still be totally amazing! Just like the title says, this seems to be from the early 1970s. First, here is how these commercials with Orson Welles are supposed to go. And now ... how they are not! 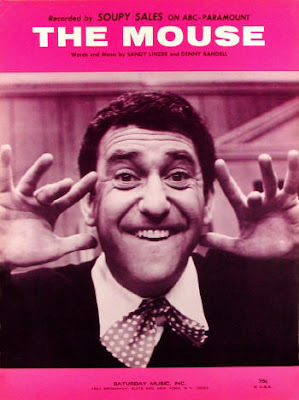 Some fella calling himself Sandysoup has posted a full episode of The Soupy Sales Show in three parts as it originally aired on WNEW. What a treat! 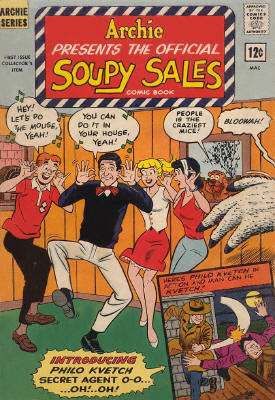 And Soupy performs his hit novelty song The Mouse on an episode of Hulaballoo in 1965. An hour's worth of The Buick -Berle Show, obviously with Milton Berle but also guest stars Peter Lawford and Carol Channing -posted by Ira Gallen of TVDays.com. This was the seventh season of The Milton Berle Show, now with a new sponsor. Like most early television shows, and the radio programs that came before them, a show's name was at the mercy of a sponsor. Formerly The Texaco Star Theatre we see it now as The Buick Berle Show. I'm sure most people just called it The Milton Berle Show ... much to the shagrin of network suits. 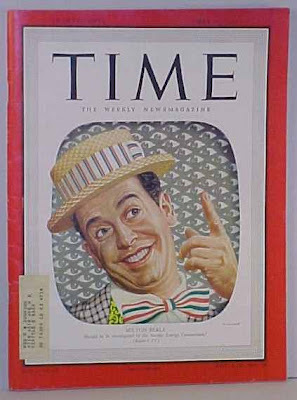 And to Milton's consternation the show changed from a weekly Milton showcase to just twice a month, The Martha Raye Show co-starring Wally Cox picking up the timeslot for the other two weeks. Goodman Ace and the number one female television and radio comedy writer for over forty years, Selma Diamond, were writers on this incarnation of the Berle show. 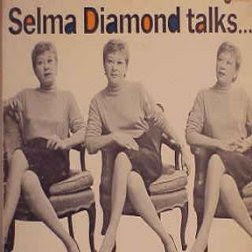 You can listen to a nice chunk of the Selma Diamond Talks LP, pictured above, on this episode of The Generation Exploitation Podcast. It is a collection of audio from Selma's appearances on The Tonight Show with Jack Paar. Like most episodes, this one opens with a ridiculously elaborate opening number of chorus dancers and soft shoe. Berle makes reference to 1986 in his opening monologue. At the six minute and forty second mark the hilarious bird faced Arnold Stang makes his appearance. Stang started with Berle on radio and constantly upstaged the famous cigar chomper (not an easy feat!). Stang was piss-your-pants funny and the highlight of most Milton Berle shows. He of course went on to be the voice of Hanna-Barbera's Top Cat. Wally Cox played a like-minded wimp on The Martha Raye Show, although Stang's meek self was likely to blow his top at Berle each week, where Cox was more likely to be pushed around, leaving his glasses crooked.